The Cupra Performance brand, which is considered part of a SEAT, begins long strides. Antonio Labate, director of Cupra business development, told the Western media that by 2021 they will make 7 brand new models. It's known that this list includes the limited edition Ateca. Now Cupra has 2 cars - standard Ateca and the prototype e-Racer (not serial). Ateca drives the 2.0-liter turbo engine on 4 cylinders with a capacity of 296 'horses' with 400 Nm. The engine functions with a seven-speed automatic transmission and a front-wheel-drive system. The SUV dials 'hundred' in 5.2 seconds, and the 'maximum speed' is 245 km/h. 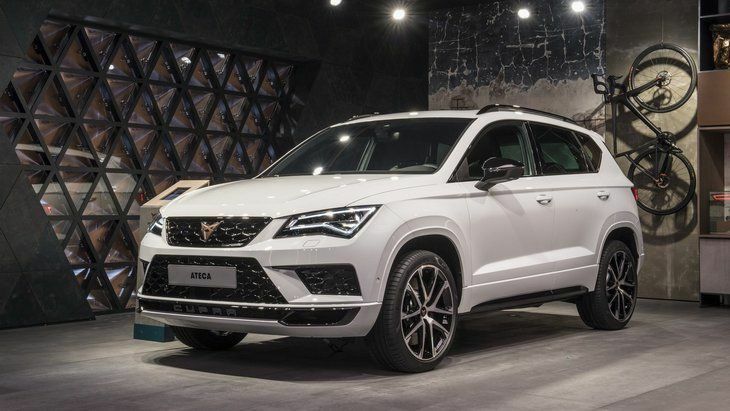 Ateca is followed by the SEAT Leon hot compact hatch, the Cupra Tarraco, and the Cupra Arona SUVs. By the way, even the Spaniards create one unknown SUV.